The Strawbery Banke Museum isn’t your average museum. Whereas most museums feature static displays and indoor collections, the Strawbery Banke Museum is a living, outdoors museum, allowing guests to explore and interact with a bygone era. If you want a unique, exciting look at centuries worth of New Hampshire history, then head to Portsmouth and step into the past! Home to 39 historic houses, artisans, reenactors, and events, the museum is a preservation of life in Puddle Dock, a historic Portsmouth waterfront neighborhood. The neighborhood’s history traces all the way back to the 17th century, and the houses offer a fascinating look into the way of life in Portsmouth. The oldest house at the Museum was built in 1695 and you can tour all of them! But the museum isn’t just a collection of houses; that’s only the beginning. Costumed role players, dedicated to reenacting the way of life in Puddle Dock from centuries ago, can be found throughout the museum. Interact with them and get a feel for what it was like to live in the neighborhood from the 1700s up until World War II! You can also visit workshops and see craftsmen at work! Learn more about coopering, basket weaving, gardening, and other common jobs in Puddle Dock. 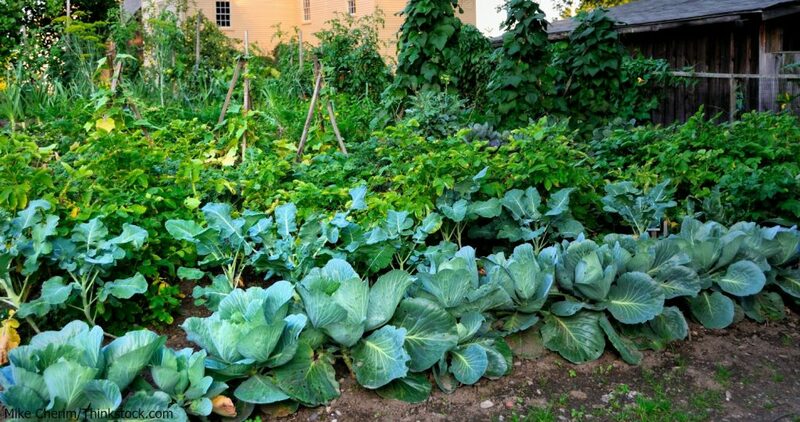 Strawbery Banke is home to preserved gardens, nearly 400 years old! These beautiful gardens are historically accurate, providing not only great scenery but an educational experience. You can also visit the Horticulture Center and the Heirloom Orchards. In addition to the gardens, tending to animals like chickens and livestock were an important part of the way of life in Puddle Dock. There are even beehives! As with any waterfront community, boating played an important role in neighborhood’s history. The Boatshop at Strawbery Banke educates visitors on the maritime culture and history of Portsmouth through exhibits, demonstrations, and workshops. Field trips, summer camps, and programs geared towards adults (like cooking, gardening, and archaeology) are all part of the educational fun at the Museum. No matter how old you are, there’s a hands-on, interactive program for you. Throughout the year, the Strawbery Banke Museum hosts great events, like their 4th of July celebration, Vintage & Vine wine festival, and the NH Fall Festival! Check the Events page for a full schedule. The houses are open from 10 a.m. to 5 p.m., May to October, with the exception of special events. The Labrie Family Skate at Puddle Dock Pond is open from Thanksgiving to March (depending on the weather). Guided, self-guided, and group tours of the museum are all available. If you get hungry while visiting, head to Figtree Kitchen, on property, where you’ll find baked goods, sandwiches, and more! Just a few minutes north of Portsmouth is York, one of Maine’s most scenic beach towns. Here you’ll find not only classic New England coastal beauty, but the Cape Neddick Lighthouse, York Beach, and more, including Dockside Guest Quarters & Restaurant. Stay with us, and enjoy our hospitality and inviting accommodations. Our rooms offer a relaxed atmosphere and great amenities like private decks with water views, queen-size beds, fireplaces, and more. There’s no better way to experience York than with a stay at Dockside. Plus, you’ll be only minutes away from the area’s best attractions!